Close to the lake, the town centre, restaurants and cafes. You’ll love our place because of the location and the ambience. 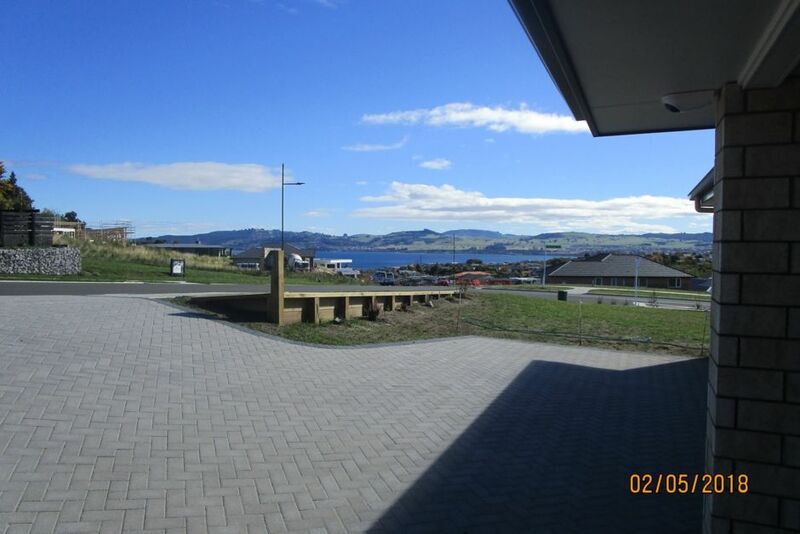 Taupo Delight is a distinctive and very special brand new home which has . Views overlooking the lake and mountain from inside the main living areas the house. Our place is good for couples, business travelers, and families (with kids). 1.Cleaning fee of 70 per stay and linen charge of 10 per bed applies to all one day bookings. 2.The house is heated by the fire with fire wood supplied. I am married to an identical twin, have an identical grandmother twin and we have 3 year old twins boy and a girl. My husband is great stay home dad and he will be your main host. He loves outdoors and is a typical kiwi boy. I work full time at the local hospital as a medical laboratory scientist. We like to give our guests space but if they need us we make ourselves available as Greg has free time when kids are at kindy. We love to interact with people and make everyone feel valued. You will never regret your choice. The house is special in that it accommodate large groups with its space, modern and cosy home, with views to die for. Its not an ordinary Bach its a home away from home. Great location, awesome views, warm house- just be aware that the bedroom attached to the garage is cold during cooler months. Would definitely consider staying here again. The house was amazing - the view was incredible - the location was sooo nice an close to town! The house was amazing - the view was incredible - the location was sooo nice an close to town! Will be saying again - thank you so much! Wow, this property was fantastic, great location and views. Wow, this property was fantastic, great location and views. Fire was lit when we arrived, very homely and clean. Would recommend this property, we had 8 adults and 2 children, so much space and very comfortable. Sunny, warm, spacious house with very good facilities. Lovely, clean, good location. Would definitely recommend. House is very spacious with great views. House is very spacious with great views. Everything we needed was there. Beds very comfortable. Bathrooms lovely and very clean. Only small thing was that the duvets were very heavy and we found them too hot for this time of the year, however we would be very happy to stay there again and felt it was good value for the price we paid.